There are many misconceptions about Poker in the minds of people, especially when it comes to India - where most of the people consider it as just another form of gambling when it isn't technically. Fret not, we are here to solve all the doubts in your minds related to this happening game based on skill and luck as well as explaining you in detail about The Spartan Poker and the next edition of India Online Poker Championship (IOPC) they have come up with this monsoon! WHAT IS THE GAME OF POKER EXACTLY? Poker is basically a card game, which is purely based on the combination of skill and strategy. Betting is considered to be an integral part of poker where one needs to determine the winner of each hand based on the combination of players' cards. The debate on whether poker is gambling or not seems to be never-ending but after we decided to go deep down in this issue, we actually found out that poker is mere a luck and skill based game which can yield you positive results if you play it tactically. Although, one needs his/her luck to be by his/her side as there is mere 5% chance of winning the bet at a specific situation. 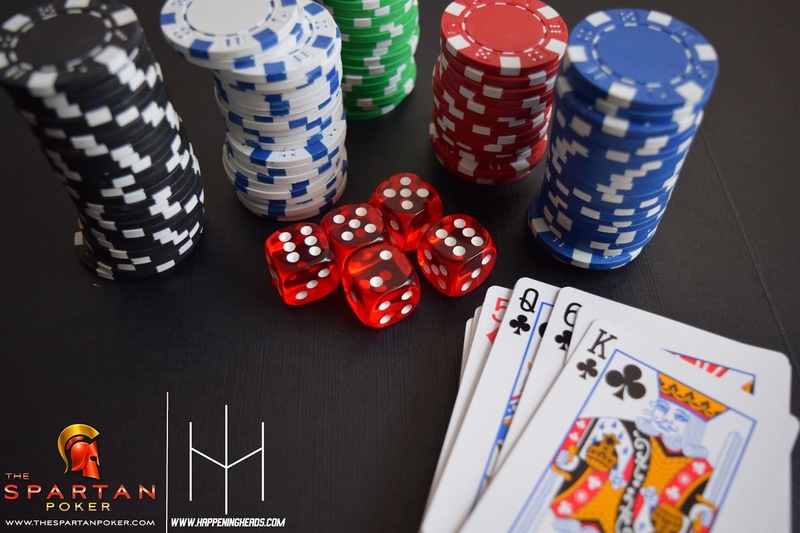 After researching a lot about it, we can say that poker is not a gamble because you don't have to blindly leave everything on luck after placing bets, you can turn around the tables at any point of the game if you strike a perfect balance between your risk-taking abilities and betting awareness. There is a visible rise in the number of online gaming portals in India which allows you to play poker online, especially in past few year as the air of poker being a form of gambling finally seems to be clearing up slowly and steadily but one portal that stands out from the rest is TheSpartanPoker.com! The way this India-centric online gaming hub has managed to provide a world-class platform to the online gamers in India is what has made it India's leading & bankable online Poker gaming portal. The Spartan Poker has definitely become a go-to online Poker gaming portal among poker enthusiasts across the country because they consider TheSpartanPoker.com trustworthy due to it's exorbitant standards with regards to various aspects like payment disposal system, management of transactions, customer support, etc. The Spartan Poker is also India's first card room that offers a rake-based online poker model and even iTech Labssuch, Australia has certified the portal to be completely fair stating that every single gaming event which is meant to be random will be completely random - no matter what. This ensures that fair-play is observed throughout your existence on TheSpartanPoker.com. After the success of previous India Online Poker Championship, The Spartan Poker is back with yet another edition of IOPC with a golden opportunity for all the poker enthusiasts in India to win big this monsoon and guess what? Apart from the big cash prizes, you can also win a dazzling Jeep Compass if you manage to top the leader-board and a classy Bajaj Dominar if you manage to end up on second position in the same. This installment of IOPC is special because it consists of 55 events, spread across the time-frame of 10 days from 13th July, 2018 to 22nd July, 2018 with an assured amount for each of them. The tagline of this edition's IOPC - #SkillSeKarKill itself represents the secret formula to bag cash prizes more than INR 7 Crores, along with the assured amount for every single feature tournament and a leader-board which values whooping INR 30+ Lakhs! The Millionaire (1 CR GTD) - 15th July, 4:30 PM. Super High Roller (50 Lakhs GTD) - 19th July, 9 PM. The Elite High Roller (40 Lakhs GTD) - 20th July, 7:30 PM. PLO High Roller (20 Lakhs GTD) - 21st July, 9 PM. Main Event (1 CR GTD) - 22nd July, 4:30 PM. Excited much? Then, don't miss even fraction of a second now and make your luck count at the India Online Poker Championship by The Spartan Poker now that we have cleared all your doubts related to the awesome sauce game of Poker! Visit https://www.thespartanpoker.com/online-poker/tournaments/IOPC-July-2018.html to check out the entire schedule as well as the Terms and Conditions of India Online Poker Championship by The Spartan Poker.